There are many good reasons for drivers to buy gap insurance. This type of coverage can be a good option when a large percentage of your car’s purchase price is financed or if you are leasing. The point of this type of car insurance is to make up for the “gap” between how much you still owe on your car and what it is actually worth. Many times when people buy a car they are financing a large amount of the purchase price. An automobile may sell for $24,000 with the buyer putting $4,000 down and financing the rest. By financing $20,000, which is about 85% of the purchase price, the buyer leaves a considerable amount of the balance unpaid. Assuming they take a loan for 48 months, the buyer may find themselves about two years later with 40,000 miles on the odometer and a $12,000 balance left on the loan. If they are in an accident and their car is declared totaled, the insurance company will pay them what the car is worth at that time. Chances are, because of the loan amount and where they are in the payment process, the car is worth less than the outstanding financed amount. The car insurance company may declare the vehicle to be worth $9,500. If that’s the case, the owner still has a balance of $2,500 for which they are responsible. That’s where gap insurance comes in as it pays off that $2,500, clearing the books on the loan and allowing the consumer to put all of their purchasing power towards buying a new car. Gap insurance is useful for various reasons. The first may be the most obvious. It offers the car purchaser additional protection that they cannot get from liability, collision or comprehensive insurance. It often makes good financial sense. There’s also peace of mind in knowing that you are protected. 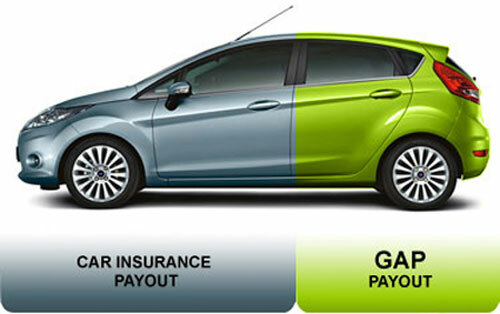 Gap insurance assures you that your loan will be paid off no matter what the case may be. That’s a huge burden lifted from your shoulders. Even if you never have to use your gap coverage, and chances are you won’t have to, knowing that you do have the necessary coverage is worth the price. Typically, depending on financing considerations and other factors, gap insurance is relatively inexpensive. You may run into people who try to dissuade you from purchasing a gap policy. These people may have never had to finance the purchase of a motor vehicle or they have financed a very small percentage of the loan. They may tell you, “I never needed gap insurance” and then may insinuate that it’s a scam. Gap insurance is not a scam. Some car buyers have simply never been in a situation where it made sense to buy it. Overall, this type of car insurance coverage is relatively new, as over the past 40 years or so car financing has changed a lot where car dealerships loan providers and consumers have been willing to finance a higher percentage of a motor vehicle’s purchase price. In looking for gap insurance be sure to shop around. Utilizing an online site that can connect you with quality providers can be a big help in ensuring that you get value on the dollar. If you’re taking out a car loan and financing a large percentage of the purchase price or leasing a vehicle, then a good gap policy is a necessity.